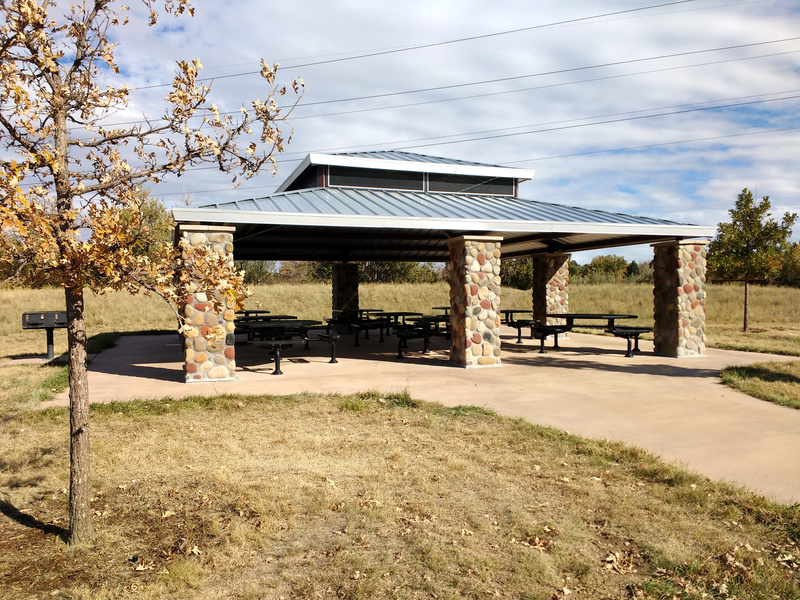 Free high resolution photo of a covered picnic area. This picture was shot at a park, and shows an open building or structure providing a roof over a small collection of picnic tables. The picture was shot in the fall, so the grass is brown and you can see dead leaves on the trees. You can also see a BBQ stand off to the side of the picnic structure. Free image for any use.